I cannot explain to you how excited I am to finally be able to layer again whilst digging out all of my chunky boots and cosy jumpers. Although Summer does have its perks, there's no feeling quite like seeing all the deep colours emerging throughout shops as the seasons transition. For my first wish list post, I decided to show you a few pieces that I have got my eye on for the upcoming chilly months. There seems to be a reoccurring colour theme with what I have picked and I promise it wasn't intentional, I just really like burgundy! During the colder months I tend to reach for clothing that is easy to layer, but also practical and on trend. Boots are an essential and I always end up with a new pair every year. They have the ability to toughen up any outfit, a definite wardrobe staple! As for the other items, I haven't owned a gilet since I was little and I think they are perfect to add a little something extra to an outfit, plus the ones New Look have in at the moment are gorgeous! 2015 has been the comeback of cord and A-Line skirts, a clear winner for me! This style flatters my shape as it emphasises my waist, whilst minimising my hips... what more could you want? I hope you liked my picks for the approaching seasons and be sure to let me know what will be included on your wish list this year! Burgundy is always so on trend for Autumn, it's wonderful! Ahhh these are so nice! I'm so glad all the autumn colours are coming back in shops, can't beat a bit of burgundy! I love Autumn fashion, the colours are gorgeous! The shift dress and the fur gilet look so pretty! Love everything you've picked out here! 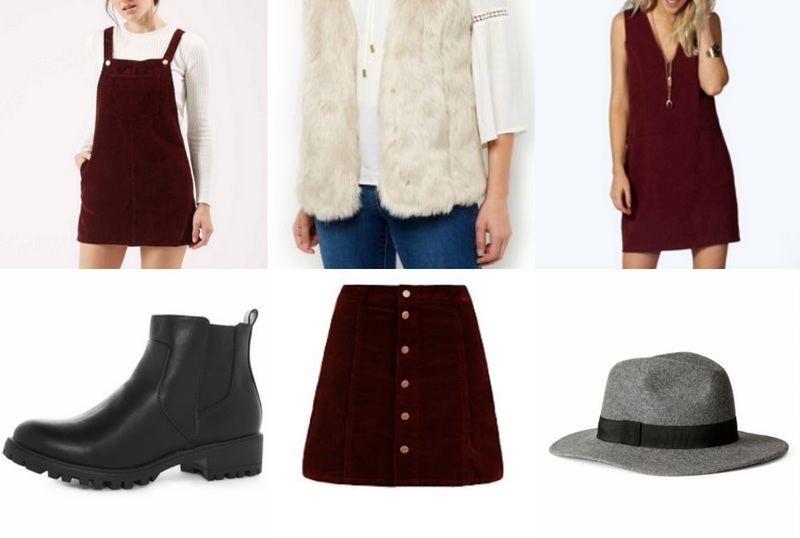 I'm a massive burgundy fan anyway so these are ideal :-) I definitely need to invest in a faux fur gilet. Great post! 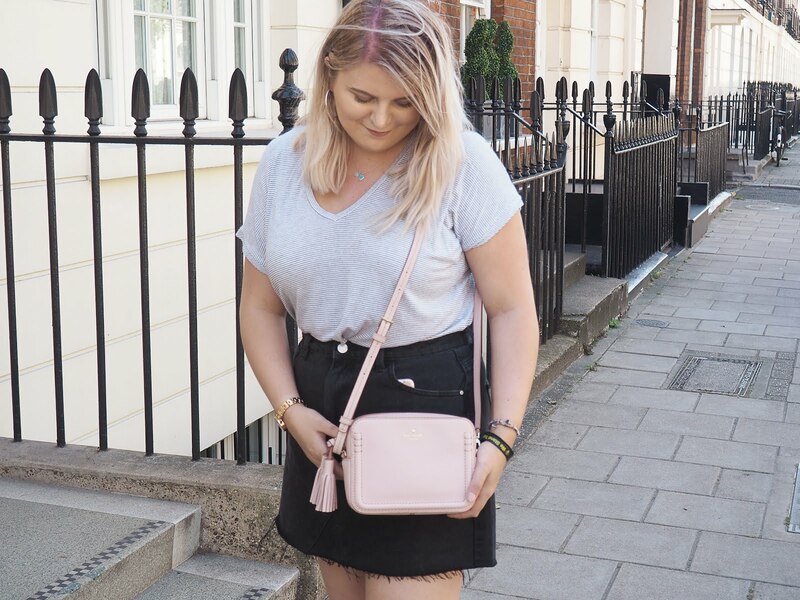 I loved seeing your wishlist, I also want a cord skirt! That gilet and pinafore, I need them! I can't wait for Autumn and berry coloured everything!! I KNOW?! ME TOO! Eeek! That fur gilet is super cute! I definitely want that too now! i'm not a fan of cold weather but i am excited to start wearing fall clothing, these are all so cute! I love burgundy ! The dress looks amazing, I would pair it with leggings, a pair of boots and a light jacket. I can't wait for fall! That pinafore dress is gorgeous! Ooh great picks! I love that pinafore pick, though I couldn't imagine myself wearing it in the winter, I GET TOO COLD and the wind destroys me so I stick with black jeans and a huuuuge cardi and coat - literally look like a dumpling! But ooh love the hat - I have a beige one which I love to wear out during autumn/winter season as well :) makes an outfit look super classy! Pair it with some chunky boots and thick tights and you're good to go! Awww that pinafore dress is the cutest thing ever! I'm loving all the Autumn chat recently! Isn't it? :) I didn't realise how many people loved Autumn until I started my blog! that suede dress is beaut but it's not available anymore, wahhh!! !